Whether a longstanding, new, or potential relationship, we are grateful for the opportunity to serve you. We are excited at what the future brings and look forward to continued success together. 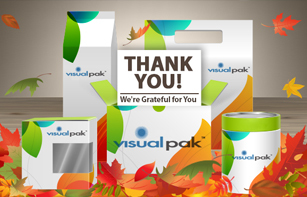 Thank you for considering The Visual Pak Companies for your next project.